Hilma finished her study at 2015 from Agronomy and Horticulture, in Agriculture Department, Bogor Agricultural University. 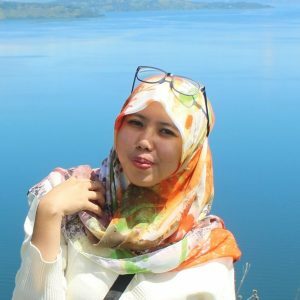 During the university, she’s actively involved in several social study and research in Sentarum Lake, West Kalimantan at 2010, Social and Cultural Study and Cave Exploration in Phong Nha Ke Bang National Park, Vietnam at 2011, and Social Study in Baduy Tribe, West Java at 2012. Her field experiences in Social Impact Assessment, such as assessment in West Kalimantan at 2015 and Jambi at 2016, facilitating participatory mappping in 6 villages in Central Kalimantan at November 2015 – January 2016, and FPIC assessment (Free, Prior, Inform, Consent) in Sumatera Utara at 2016.